Meal in a bowl is a new way of having a wholesome meal in a bowl. A quick bite that’s healthy and easy to eat. If you haven’t already heard of them, then you are really missing on some cool food trends. Meal bowls also referred as Power bowls are the hot new food trends in metro cities. Made from grains, greens and protein, they’re a nutritionally dense way to eat a healthy meal that’s a lot more filling than just a salad and definitely high on nutrient content. 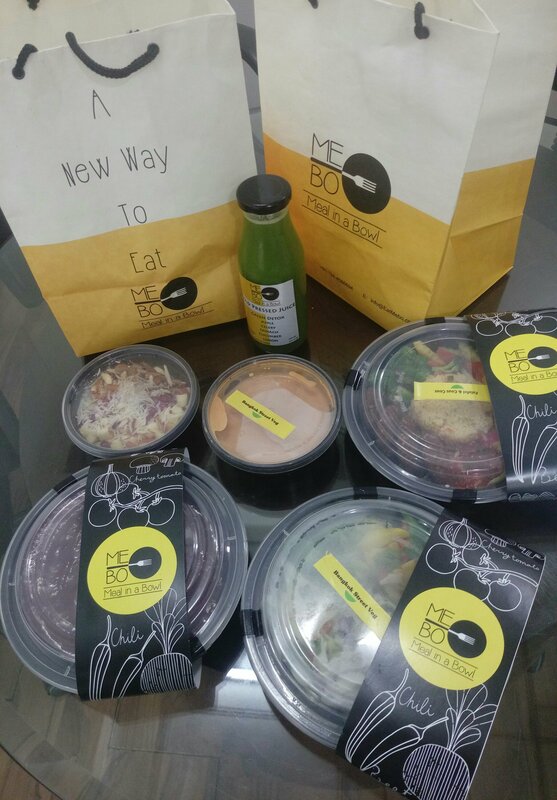 My first encounter with this concept happened a decade back when I first tried the Subway salads. Though modern day meal in a bowl are far more advanced version of the same. 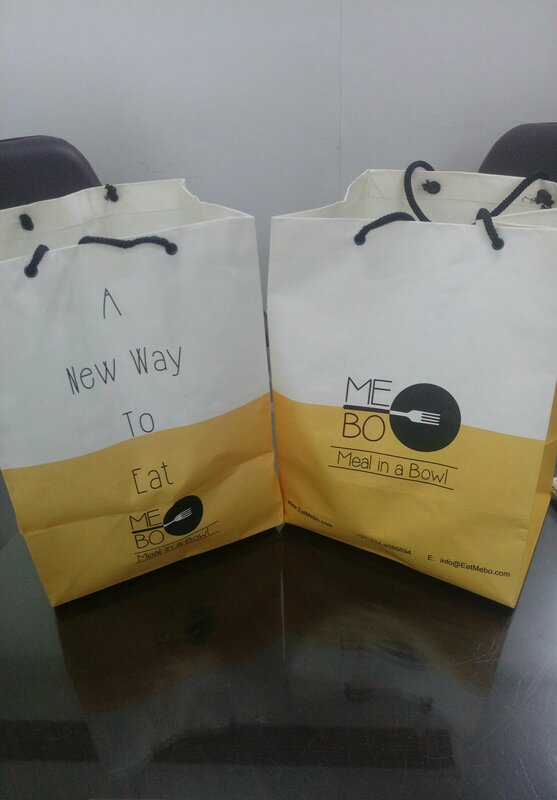 So here I am sharing my first experience with meal in Bowl Delivery and take away option MeBo – www.eatmebo.com , An app / web based food ordering platform for meals in a Bowl that offers a range of Bowl meals like Indian Bowl, Budha bowl, Asian Bowl, Smoothies Bowl, around the World bowl along with dessert and Beverage options. 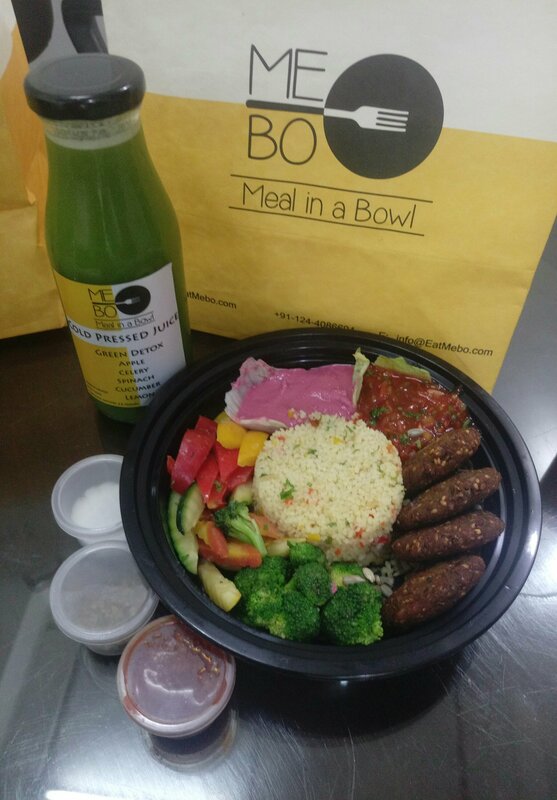 From the Bowls I ordered for a Bangkok Street Bowl with vegetables , Falafel Couscous Budha Bowl along with a smoothie bowl – Blue Banana Bowl.And also a cold press juice. 1. 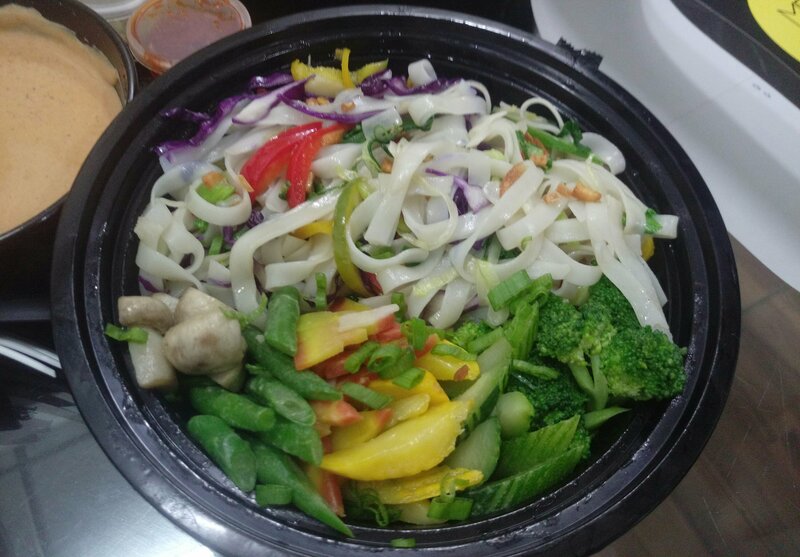 Bangkok Street Bowl with vegetables : Flat Rice noodles are always something that I love in noodles and this Bowl was not only colorful but also loaded with nutrients. I once heard that add as many colors as possible to your food ( colorful food ) and Thats the easiest way to have more nutrients. And this bowl proved that. Served with a coconut curry infused with herbs. Pour the curry on the veggies and enjoy a delectable meal. 2. Falafel couscous Budha Bowl : At restaurants Mezze platter is one of my favorite pick. And this bowl was most satiating for me. Nicely done Falafel on a layer of couscous. Couscous is considered to be healthier than rice.Its sugar free and fat free and is a good source of selenium.but in reality it’s a healthy looking simple carb with nutritional value simillar to white pasta. But what makes the bowl realy special is the vegetables in the bowl, beetroot hummus and tomato salsa. So for me this bowl is definitely going in my repeat order. 3. 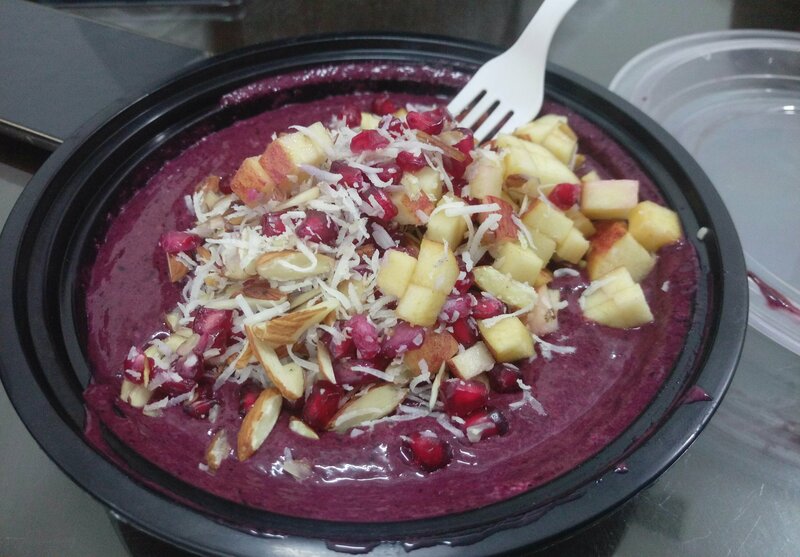 Blue Banana Bowl : In modern day dinning most of us crave of something sweet after each meal. And for me this was definitely 100 times better substitute of a dessert with something so yumm and healthy. 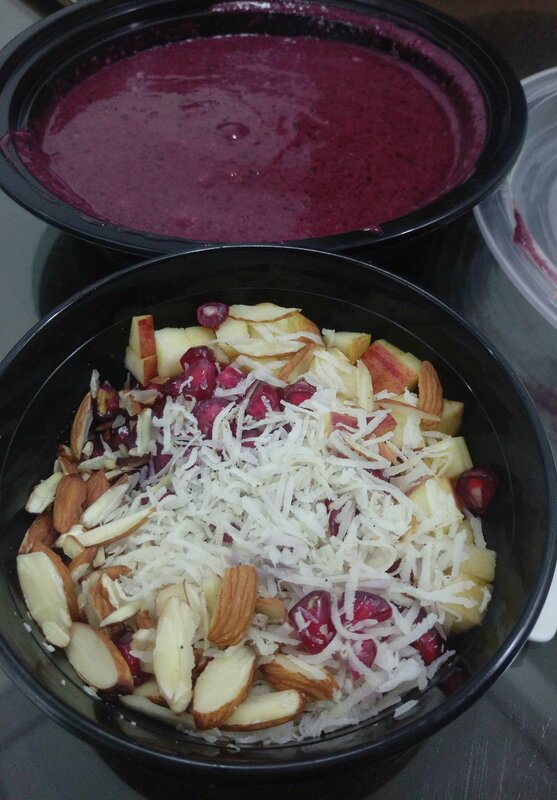 Rich creamy blend of Blueberries , banana and oatmeal served with grated coconut , almonds, apple and pomegranate. A true delight to eyes and a mouth watering dish. This reminds me of the fact that you first eat your food with eyes then you actually taste it. Now something really very very healthy. 4. 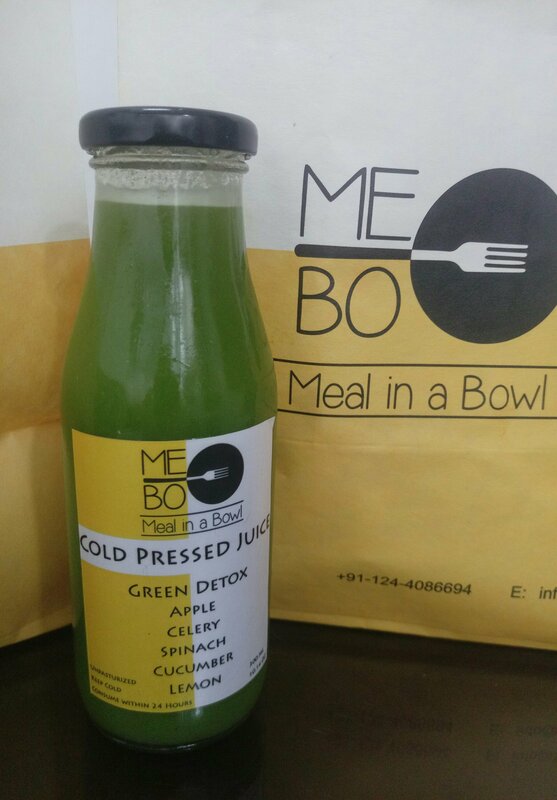 Green Detox – Fresh cold pressed juice. : Judge a sweet shop with the sweetness and a health food company is judged by the quality of their juices. A juice with good ingredients taste 5 times better. This Juice I ordered was a cold press a combination of Spinach, celery, cucumber , apple and lime. Very refreshing and great consistency. 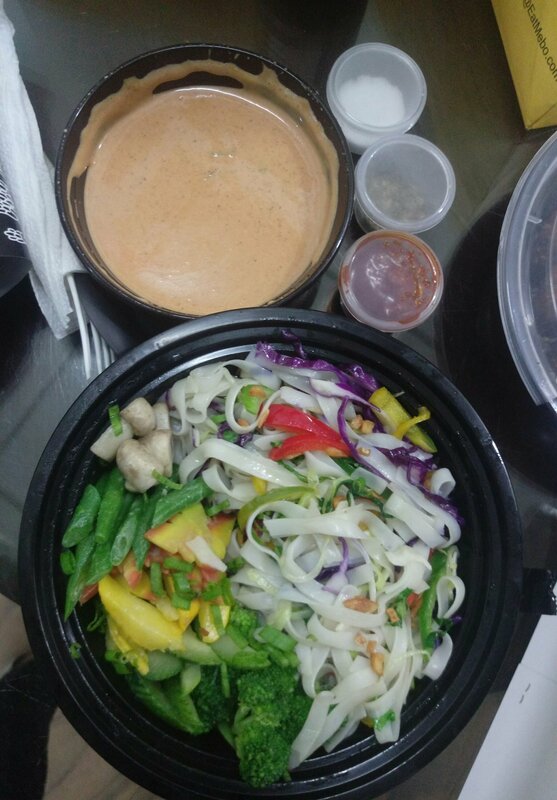 Overall I will rate this as a great food delivery options thats going to be used more often in my office. Go ahead and pick something healthy for yourself. And keep writing back with your feedback.